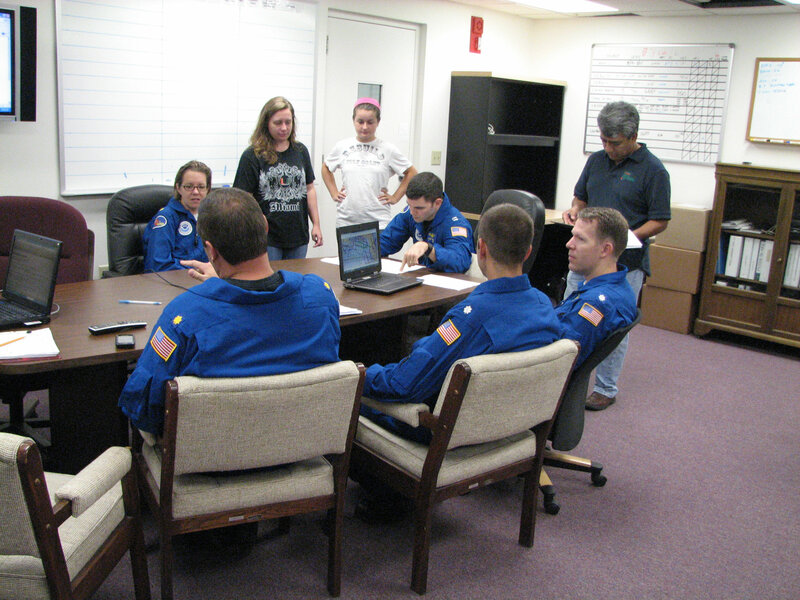 (Click to enlarge) UM team during a pre-flight briefing with NOAA’s flight crew at MacDill Air Force Base. Photo credit: Jodi Brewster. 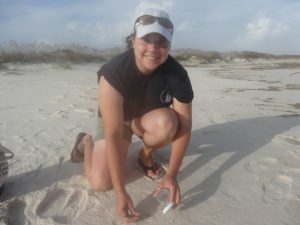 Hurricane Isaac churned up more than just winds and waters as it crossed the Gulf of Mexico, and researchers took quick action to study its effect on ocean upwelling and movement of weathered oil – potentially from the Deepwater Horizon incident. 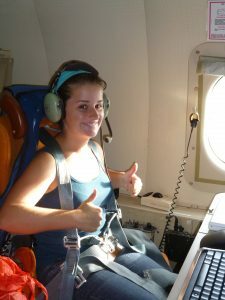 A research team led by University of Miami (UM) Professor and Deep-C (Deep Sea to Coast Connectivity in the Eastern Gulf of Mexico) Consortium Co-Principal Investigator Nick Shay planned and directed the NOAA’s P-3 aircraft missions as part of NOAA’s Hurricane Field Program conducted by scientists at NOAA’s Hurricane Research Division (HRD) located at the Atlantic Oceanographic and Meteorological Laboratory. Just hours before this flight, Dr. Benjamin Jaimes, senior research associate Jodi Brewster, and graduate student Ryan Schuster prepared and loaded 39 profilers into the plane for the in-storm research flight. Their goal: to drop profilers into the storm at optimum locations to collect measurements of ocean heat content, salinity and currents during the hurricane. Prior to Hurricane Isaac, the team flew over the area and deployed 54 devices to collect baseline oceanic and atmospheric data over the shelf and shelf break. 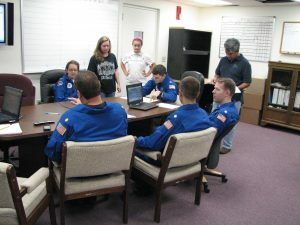 After the storm, the team worked with the flight crew at NOAA’s Aircraft Operation Center located at MacDill Air Force Base to deploy another 67 probes and obtain a post-hurricane snapshot of the area tying the response from several research flights conducted by NOAA’s HRD. The information from each of the flights is being analyzed by scientists, and the resulting data will provide input for research models being developed for Deep-C and for operational models at forecasting centers. Hurricane Isaac presents a unique opportunity to investigate that possibility. Since the Deepwater Horizon incident, Deep-C scientists and their research teams have made repeated visits to sites along the Gulf Coast that were affected by the oil spill. A team scoured the beaches as recently as one week before Hurricane Isaac, looking for samples of oil that have mixed with sand to create what are referred to as “sand patties.” Immediately following the storm, Deep-C teams led by Dr. Chris Reddy of the Woods Hole Oceanographic Institution (WHOI) and Dr. Wade Jeffrey of the University of West Florida, returned to the beaches and collected additional samples. 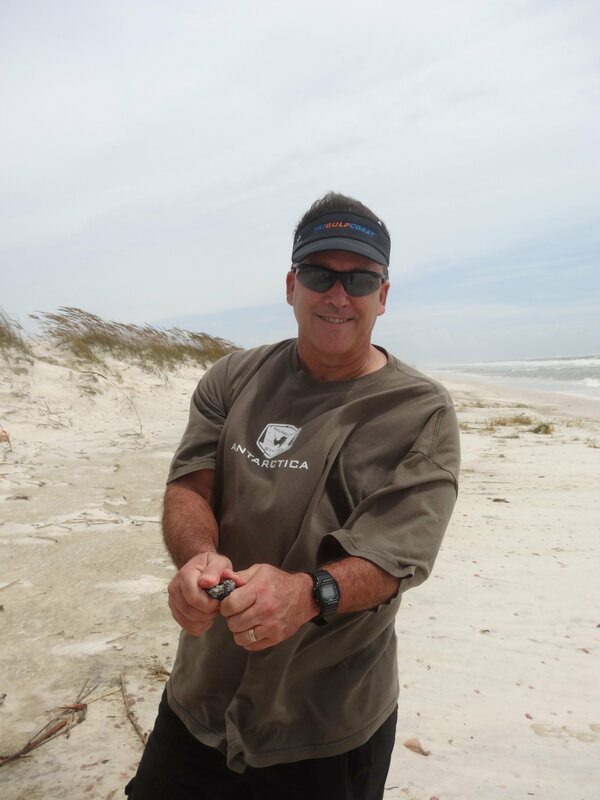 “Our intent,” Reddy said, “is to determine if these post-storm samples contain oil from the Deepwater Horizon spill and, if so, if they are in fact a result of the upwelling and deep sea responses to the recent hurricane. One way that the fate of the oil can be determined is to study an effect called weathering: how oil that is discharged into the environment changes over time. Weathering affects the properties of spilled oil and, according to Reddy, oil from the deep bottom is likely to have weathered differently than samples on the shore prior to the storm that were simply unearthed or exposed by the winds and rain of Hurricane Isaac. The Deep-C consortium is a long-term, interdisciplinary study investigating the environmental consequences of petroleum hydrocarbon release in the deep Gulf of Mexico on living marine resources and ecosystem health. The consortium focuses on the geomorphologic, hydrologic, and biogeochemical settings that influence the distribution and fate of the oil and dispersants released during the Deepwater Horizon accident, and is using the resulting data for model studies that support improved responses to possible future incidents.